Who's excited about the upcoming Royal Wedding?! Stacks Pub is!! 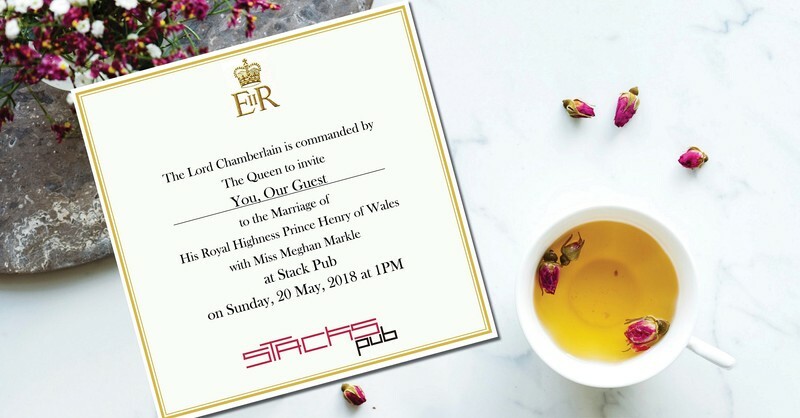 Stacks Pub will be will be hosting a fabulous Royal Wedding Viewing Party on Sunday, May 20th at 1PM! Come in your Sunday best and indulge in a special royal menu of pastries, tea, and a glass of bubbles for $20 per person, all while watching the replay of the historic Royal wedding of Prince Henry and Meghan Markle on our big screen! Bookings are essential as space is limited. Call - 3450 9456.